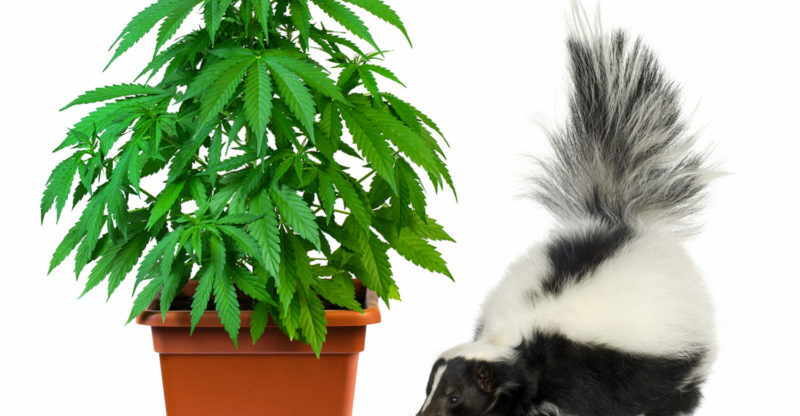 Cannabis stinks, its opponents claim, comparing the scent of buds at harvest to skunks. 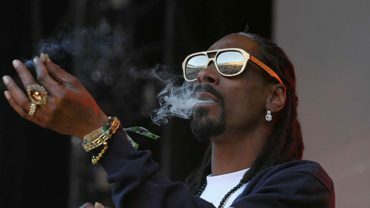 But beyond its fragrant nose, cannabis enterprise carries an aroma welcome even to many who shun pot: the smell of money. Cash gushes from the emerging industry. It’s expected to soar to billions of dollars a year in California, with Santa Rosa’s CannaCom Valley at the heart of North Bay cannabis commerce. But cannabis operators must reckon with the reek, which makes some neighbors smoking mad. At public hearings on cannabis policy held by Sonoma County’s board of supervisors, residents who live near cultivation complained to the board about its pungent smell — especially at harvest. Supervisors responded by banning cultivation in rural-residential zones. In public comments to Santa Rosa officials about proposed cannabis cultivation sites, neighbors objected to the odor. Agricultural commerce brings unwelcome odors. Cow manure annoys folks near dairies. Gilroy reeks of garlic grown nearby. Vineyard managers in Sonoma and Napa counties spray elemental sulfur on wine grapes to ward off powdery mildew. Sulfur can smell like rotting eggs. Cannabis, too, has a distinctive aroma. VOCs are volatile organic compounds such as paint fumes, hydrocarbons. For industrial engineers, olfactory challenges have a scientific basis in essential oils, according to Jay Takacs, principal at 15000 Inc., an mechanical engineering company in Santa Rosa. Fatty acids occur naturally in cannabis and other plants, and can produce fruity aroma like that of berries, banana or apple cider. Terpenes — fragrant essential-oil compounds of hydrogen and carbon — in cannabis account for sweet, floral, citrusy or piney scents. The typical smell of cannabis comes from roughly 140 different terpenes, according to “Chemistry and Analysis of Phytocannabinoids,” written in 2007 by Rudolf Brenneisen, professor of phytochemistry at University of Bern, Switzerland. He studied cannabis for 20 years. Terpenes can have beneficial as well as olfactory effects — antiseptic, anti-inflammatory or antiviral. Myrcene, noted for sedative, analgesic (pain relief) and anti-inflammatory effects, occurs in many cannabis strains as well as in hops, mangoes, thyme, lemongrass and basil. Linalool, a terpene found in cannabis and lavender, is prized for its stress-reduction effects. Pinene in cannabis and coniferous oil such as pine and spruce is strongly antiseptic. Limonene, occurring in citrus fruits as well as cannabis, is powerfully antiviral. Some cannabis critics describe its smell as skunky during flowering. The odoriferous secretion of skunks is primarily volatile thiols: €-2-butene-1 thiol (about 40 percent) and 3-methyl-1-butanethiol (about 22 percent). Cannabis contains alpha-linolenic acid, which may break down under the ultraviolet rays of sunlight into methyl and butyl thiols, according to one scientist’s theory. Whether it’s skunky or not, the smell of cannabis becomes a business challenge for which local engineers sniff out solutions. Extraction involves isolating and concentrating substances in cannabis that have medicinal or psychoactive effects. Extraction facilities use ethanol and carbon dioxide in processing, which must be managed in ventilation systems. Butane, more volatile, is not allowed in Santa Rosa’s CannaCom Valley. The engineering company also works with cannabis distribution centers. The potency of smell depends on strain and plant size. He doesn’t mind the strong smell. “It would be like objecting to the hop smell in beer” or to rosemary, Torre said. One of Torre’s clients is the proposed cultivation facility by Middle Relief Partners at 1805 Empire Industrial Court in Santa Rosa. The project, as presented to the city, will have about 4,000 square feet of canopy in a building with some 9,700 square feet. “We would ultimately like to have a dispensary,” said David Page, chief operating officer and managing general partner of Middle Relief. The group’s three partners paid $1.7 million for the building in cash. Cultivation will be overseen by Scott Toland, who worked for Good Chemistry in Denver. A roof duct rises to a nozzle, which increases the velocity of escaping gases. “We shoot that up into the atmosphere,” Torre said. “Plume heights we try to get between 10 and 20 feet above the nozzle.” Escaping air at the nozzle moves at about 3,000 feet per minute — nearly 34 miles per hour. “It’s a multiple approach to controlling odor, not just filtering particulate,” Torre said. The cost for tenant improvements for cannabis operators runs nearly double that of most industrial businesses, Takacs said. “It’s not like doing an office building” at about $25 a square foot. Because growing plants generate humidity, cannabis cultivation rooms require dehumidification” on top of plume discharge and filtration, for a total cost of about $50 a square foot. Filtration takes out most particles that smell. A high-efficiency particulate air filter with activated carbon achieves 99.996 percent removal of particulates. Resulting air still could smell faintly of cannabis at the emission nozzle, but not at ground level. Capturing 100 percent of particulates kills air flow, Takacs said, creating unhealthy indoor air. “We do recirculation systems and bolster typical HVAC systems,” Torre said. “Beyond air terminals and defusers, oscillating fans ensure proper mixing of air.” Indoor air quality is as important as the smell of escaping air. “This technology has existed for years,” Takacs said. “This is a year-round operation” similar to growing tomatoes indoors. “Each room has to be on its own zone,” he said, with numerous air-intake points. “Mold is an enormous deal. We need to take care of the mold” with dehumidification. “It’s all critical,” Takacs said. Every plant transpires — draws water from roots and evaporates it from pores on leaves. Small plants transpire less than big ones, so the system must respond variably to differing zones. Sensors in the cultivation rooms send information to the HVAC system. Some cannabis-growing techniques create hazards. Cultivators boost plant growth by injecting carbon dioxide into the room, which can jeopardize worker safety. “It’s the same as in a winery,” Takacs said. “A fermentation room is kicking off a lot of CO2. We would exhaust CO2 low because it is heavier than air,” keeping indoor carbon-dioxide levels less than 600 parts per million. Torre has completed several cannabis building designs, about evenly split between cultivation and extraction. This article first appeared in the North Bay Business Journal.